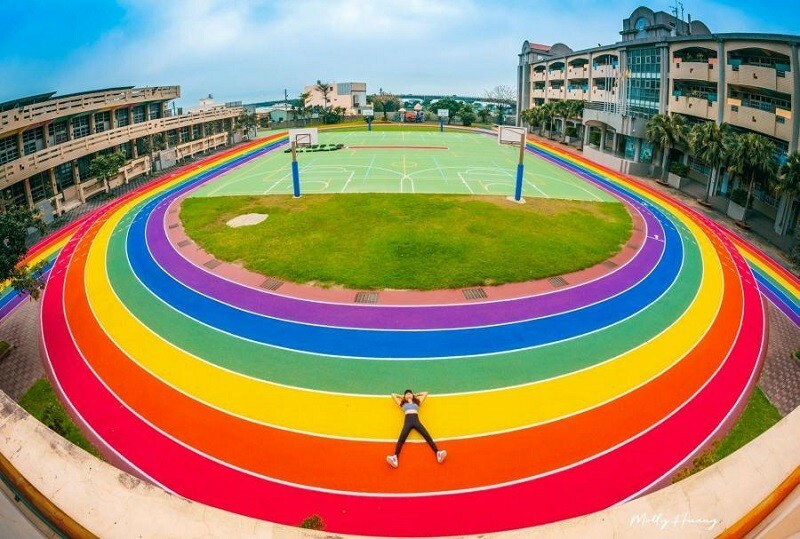 TAIPEI (Taiwan News) – An elementary school in central Taiwan’s Taichung City has painted its track into a colorful rainbow to celebrate its 100th anniversary, instantly attracting many members of the public to take photos with it, Liberty Times reported on Wednesday. The “rainbow track” in Gao Mei Elementary School (高美國小) is a stark contrast to traditional tracks, where red is usually the only color. The track, which is 160 meters in length, has made the campus more colorful and lively. The address of the school is: No. 37, Hu'an Rd., Qingshui Dist., Taichung City (台中市清水區高美里護岸路37號). However, entering the school to take photos is not allowed during schooltime.